Police received a call from the Days Inn that a five-year-old boy was abandoned at the motel. Upon arrival, the child was identified as Zachary Swift and explained that his father left him at the motel the night before after killing the boy’s mother and grandmother. Police went to Swift's home and found the body of his pregnant wife, Amy Amel Sabeh-Swift on the floor of the trailer. The body of Sandy Sabeh was found in the kitchen of her Lake Dallas home. A trace of Swift’s electronic debit card use led authorities to Swift’s hideout at a motel in Dallas. During the five-hour interrogation that followed his arrest, Swift stated that he choked both women, then drove his son, Zachary, to a motel room. His marriage had gotten off to a rocky start. Four days after their wedding, he started a four-year prison sentence after pleading guilty to assaulting a Texas state trooper in 1996 and a Denton County woman in 1997. Swift waived all appeals. Swift v. State, Not Reported in S.W.3d, 2006 WL 2696266 (Tex.Cr.App. 1999) (Direct Appeal). A medium-well done steak with sauce, a salad with ranch dressing, cheddar cheese and bacon bits, a baked potato with sour cream, two slices of apple pie, three large rolls, two cokes and a cup of coffee. 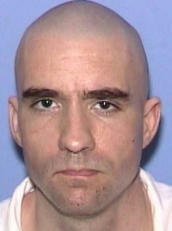 AUSTIN – Texas Attorney General Greg Abbott offers the following information about Christopher Jay Swift, who is scheduled to be executed after 6 p.m. Tuesday, January 30, 2007, for the strangulation of his wife, Amy Amel Sabeh-Swift and his mother-in-law, Sandy Sabeh. In April 2005, he was tried for capital murder, convicted, and sentenced to death. On April 30, 2003, the Farmer’s Branch Police Department received a call from the Stemmons Freeway Days Inn that a five-year-old boy was abandoned at the motel and had been playing unsupervised in the lobby area. Officers went to the motel, and the child, Zachary Swift, explained that his father left him at the motel the night before after killing the boy’s mother and grandmother. According to Zachary, Swift stabbed and killed Zachary’s mother, drove Zachary to Swift’s mother-in-law’s house, and killed Zachary’s grandmother, too. Irving police found the body of Amy Amel Sabeh-Swift on the floor of the trailer home she shared with Swift. Lake Dallas officers discovered the body of Sandy Sabeh in the kitchen of her Lake Dallas home. A trace of Swift’s electronic debit card use led authorities to Swift’s hideout at a motel in Dallas. During the five-hour interrogation that followed his arrest, Swift stated that he choked both women, then drove his son, Zachary, to a motel room. Swift was indicted for capital murder. Trial on the merits began on March 28, 2005, in the 211th District Court of Denton County. In Apil 2005, Swift was found guilty and sentenced to death. Swift insisted that he did not want a lawyer to represent him on direct appeal. After a hearing, the trial court determined that Swift was evaluated by an expert in whose opinion Swift was competent to decide to represent himself, and that Swift waived counsel voluntarily. In an unpublished opinion issued on September 20, 2006, the Texas Court of Criminal Appeals affirmed Swift’s conviction and sentence. Swift did not pursue certiorari review. Swift, in fact, waived his right to further challenge the validity of his conviction and death sentence. At his request, the trial court set his execution for this year: January 30, 2007. In July 1997, the State sentenced Swift to four years’ imprisonment for second-degree aggravated assault (for the attack on his mom) and “lesser included offense aggravated assault” (for the attack on the officer). Prior to that, Swift was arrested for evading arrest, assault causing bodily injury, aggravated assault with a deadly weapon, and driving while intoxicated. HUNTSVILLE, Texas – Condemned killer Christopher Swift was executed Tuesday, spurning appeals that could stop or delay his execution for the slayings of his wife and mother-in-law in North Texas. Asked if he had a final statement, Swift responded: "no." Seven minutes later at 6:20 p.m., he was pronounced dead as five friends watched. No relatives of survivors attended the execution. The lethal injection of Swift, 31, was the third this year in Texas, the nation's most active capital punishment state. "Receiving the death penalty is what he's wanted from Day 1, from the first day I met him," said Derek Adame, who was one of Swift's trial lawyers. "He and I had several discussions about it. It was frustrating for me. That's what makes it hard to deal with. It's the ultimate punishment." Evidence showed Swift's 5-year-old son watched as the former laborer and parolee stabbed and strangled his pregnant wife, Amy Sabeh-Swift, in the family recreational vehicle in Irving. Then he took the boy to a mobile home park in Lake Dallas and strangled his wife's mother, Sandra Stevens Sabeh, 61, at her home. The boy was found the next day, April 30, 2003, wandering the lobby of a Days Inn in Irving where his father had rented a room. Swift left after the child fell asleep. Hotel staffers fed him breakfast and let him watch cartoons in the lobby but then called police after no one claimed him and he was getting frightened. When police arrived, the child told them his father had killed his mother and grandmother. Officers found their bodies. Swift was under arrest within hours. Authorities determined after abandoning his son at the Days Inn, he got himself a room elsewhere and some beer. "He had some issues," Breading said. "Leave your kid in a hotel and drink a 12-pack – issues juries don't like." Swift's 27-year-old wife worked as an aide at the Denton State School for the mentally disabled. The couple had been married six years although at one point Swift had filed for divorce, then didn't follow through on the filing. She was eight months pregnant when she died. Their marriage began on a difficult note. Four days after their wedding, he started a four-year prison sentence after pleading guilty to assaulting a Texas state trooper in 1996 and a Denton County woman in 1997. He also pleaded guilty to an assault charge for shoving and choking his wife in March 1996, driving while intoxicated and fleeing a police officer. In 1992, he pleaded guilty to evading arrest. Prosecutors said Swift had a history of alcohol abuse and drug use. He'd quit a new job at a concrete company because they asked him to take a drug test and when he came home, his decision sparked an argument with his wife that led to the slayings, prosecutors said. Swift spent about 21 months on death row. The average condemned Texas inmate is in prison about 10 years before execution. The shortest time on death row was Joe Gonzales, who in 1996 received lethal injection 252 days after he arrived. Another Texas inmate is scheduled to die next week. James Jackson, 47, is among at least 11 Texas prisoners with execution dates. Jackson was condemned for the 1997 slayings of his two stepdaughters at their Houston home. Jackson's wife, the mother of the girls, also was killed. DALLAS (Reuters) - Texas executed a man by lethal injection on Tuesday for strangling his wife and her mother. Christopher Swift, a 31-year-old laborer, was the third inmate put to death since January 1 in Texas, which has the highest execution rate in the United States. In a brief summary of the murders, which took place in 2003, the Texas Department of Criminal Justice said Swift had strangled his wife and battered her in the face. He also throttled his mother-in-law to death. Swift made no final statement. For his last meal, he requested a medium-well done steak with sauce, a salad with ranch dressing, cheddar cheese and bacon bits, a baked potato with sour cream, two slices of apple pie, three large rolls, two cokes and a cup of coffee. Swift was the 382nd person put to death in Texas since it restored capital punishment in 1982. The state has 10 more executions scheduled for 2007. HUNTSVILLE — Condemned killer Christopher Swift was executed Tuesday, spurning appeals that could stop or delay his execution for the slayings of his wife and mother-in-law in suburban Dallas. Asked whether he had a final statement, Swift responded: "No." Seven minutes later, at 6:20 p.m., he was pronounced dead as five friends watched. No relatives of the victims attended the execution. The lethal injection of Swift, 31, was the third this year in Texas, the nation's most active capital punishment state. "Receiving the death penalty is what he's wanted from Day One, from the first day I met him," said Derek Adame, who was one of Swift's trial lawyers. "He and I had several discussions about it. It was frustrating for me. That's what makes it hard to deal with. It's the ultimate punishment." Evidence showed Swift's 5-year-old son watched as the former laborer and parolee stabbed and strangled his pregnant wife, Amy Sabeh-Swift, in the family recreational vehicle in Irving. Then he took the boy to a mobile-home park in Lake Dallas and strangled his wife's mother, Sandra Stevens Sabeh, 61, at her home. The boy was found the next day, April 30, 2003, wandering the lobby of a Days Inn in Irving where his father had rented a room. The child told the police his father had killed his mother and grandmother. Officers found their bodies. Swift was under arrest within hours. Defense lawyers tried to show Swift should be found not guilty by reason of insanity. Prosecutors presented witnesses who said Swift knew what he was doing and was not insane. HUNTSVILLE -- After a relatively brief 21 months on Death Row, condemned killer Christopher Swift was executed Tuesday, spurning the appeals process that could have stopped or delayed his execution for the slayings of his wife and mother-in-law in suburban Dallas in 2003. Asked whether he had a final statement, Swift, 31, responded, "No." He was pronounced dead at 6:20 p.m. as five friends watched. No relatives of his victims attended. The lethal injection was the third this year in Texas. "Receiving the death penalty is what he's wanted from Day One, from the first day I met him," said Derek Adame, one of Swift's trial lawyers. The average condemned Texas inmate is in prison about 10 years before execution. The inmate who spent the shortest time on Death Row was Joe Gonzales, who in 1996 received lethal injection 252 days after he arrived. Evidence showed that Swift stabbed and strangled his pregnant wife, Amy Sabeh-Swift, in the family recreational vehicle in Irving as the couple's 5-year-old son watched. Then he took the boy to a mobile home park in Lake Dallas and strangled his wife's mother, Sandra Stevens Sabeh, 61, at her home. Prosecutors said Swift had a history of alcohol abuse and drug use. He'd quit a new job at a concrete company because he was asked to take a drug test, and when he came home, his decision sparked an argument with his wife that led to the slayings, prosecutors said. Christopher Jay Swift offered no words before receiving the lethal injection Tuesday night. Friends offered their tears and prayers as they watched. “Look at his face. His face is completely at peace. He is going to see Jesus,” one friend said. Swift had insisted on receiving the death penalty for his crimes. “He didn’t want to spend the rest of his life in prison,” said Jerry Cobb, one of his trial lawyers. “If convicted, he wanted the death penalty. He made that very clear to everybody.” He ordered no appeals to be filed to stop the lethal injection. Swift was convicted of the 2003 strangling his 29-year-old, eight months pregnant wife, Amy Sabeh-Swift, to death with his hands inside their recreational vehicle in Irving. He then took his 5-year-old son to a mobile home park in Lake Dallas and strangled his mother-in-law, Sandra Stevens Sabeh, 61, at her home. The 5-year-old boy was found the next day, April 30, 2003, wandering the lobby of a Days Inn in Irving where his father had rented a room, then left after the child fell asleep. Hotel staffers fed the boy breakfast and let him watch cartoons in the lobby but then called police after no one claimed him and he was getting frightened. The child made a startling disclosure to officers. “Basically he was saying: ’Daddy killed mommy and he killed grandma, too,”’ former Denton County Assistant District Attorney Lee Ann Breading said. Adame and Cobb presented psychiatric testimony contending Swift was insane. “The state put on psychiatric testimony he was not, and jurors found he was not,” Cobb said. “After the case was over, then he was through. He didn’t want to do anything.” Swift’s wife worked as an aide at the Denton State School for the mentally disabled and the couple had been married six years although at one point Swift had filed for divorce. Four days after their wedding, he started a four-year prison sentence after pleading guilty to assaulting a Texas state trooper in 1996 and a Denton County woman in 1997. He also pleaded guilty to an assault charge for shoving and choking his wife in March 1996, driving while intoxicated and fleeing a police officer. In 1992, he pleaded guilty to evading arrest. Prosecutors said Swift, who had a history of alcohol abuse and drug use, quit his job at a concrete company because they asked him to take a drug test. When he came home, his decision sparked an argument with his wife that led to the slayings, prosecutors said. Another Texas inmate is scheduled to die next week. James Jackson, 47, is among at least 11 Texas prisoners with execution dates. Jackson was condemned for the 1997 slayings of his two stepdaughters at their Houston home. Jackson’s wife, the mother of the girls, also was killed. Christopher Jay Swift, 31, was executed by lethal injection on 30 January 2007 in Huntsville, Texas for the murders of his wife and mother-in-law. On 29 April 2003 in Irving, Swift, then 28, stabbed and strangled his wife, Amy Sabeh-Swift, 27, in the recreational vehicle where they lived. She was eight or nine months pregnant. He then drove to Lake Dallas and strangled Amy's mother, Sandy Sabeh, 61. He then took his five-year-old son, Zachary, who witnessed both killings, to a motel in Farmer's Branch. Swift checked into a room after midnight and, after Zachary fell asleep, left him there. The next day, a motel employee called the police to report that an abandoned child was playing unsupervised in the lobby area. Upon their arrival, Zachary told police officers that his father left him there the night before after killing his mother and grandmother. A trace of Swift's debit card led authorities to a Dallas motel where Swift was hiding out. He was arrested and confessed to killing both women and abandoning his son. He said that voices in his head and his son encouraged him to strangle the women. The day after his arrest, Swift told a Dallas television station in a jailhouse interview that he committed the murders because Zachary "was giving me the order to do it." Swift had previous arrests for assault, driving while intoxicated, and evading arrest. One incident involved striking a police officer with his vehicle in December 1996. Another involved hitting his mother on the head and face and threatening her with a knife in January 1997. Swift was convicted in both of these cases and received a 4-year prison sentence. Information on the length of time he served on this sentence was not available for this report. Prosecutors in Dallas County, where Mrs. Sabeh was killed, yielded to Denton County, where Amy Swift was killed. Swift was tried in Denton County for the capital offense of killing two people in one criminal event. At his trial, prosecutors presented evidence that on the day of the killings, Swift had quit his job because his employer asked him to take a drug test. This decision sparked an argument with his wife, leading up to the killings. By the time of his trial, Swift had decided that the wanted to be executed for his crime. He refused to allow his attorneys to bring any witnesses in his defense. His lawyers presented an insanity defense. A jury convicted Swift of capital murder in April 2005 and sentenced him to death. "The voices haunt me daily, and death is going to be the only thing that takes them away," Swift told the judge at the end of his trial. Under Texas law, all death sentences are automatically appealed to the Texas Court of Criminal Appeals. Swift waived his right to counsel in this appeal, and the court determined that he was mentally competent to make the decision to represent himself. Swift did not file a brief on his behalf. After reviewing the trial record, the appeals court affirmed the conviction and sentence in September 2006. Swift did not pursue any further appeals and waived his right to do so. The condemned man also wrote several letters to the court asking for a swift execution date. "I am writing to you one final time to plead with you to set my execution date ahead of those already scheduled," he wrote on 19 October 2006. "While others dread their approaching executions, I am very anxious to be executed and go to heaven to be reunited with my loved ones who understand what those on Earth cannot, i.e. the forgiving power of the Lord." Swift declined request for interviews in the weeks leading up to his execution. At his execution, Swift declined to make a final statement. He was pronounced dead at 6:20 p.m.
Amy was strangled and stabbed to death by her husband, Christopher Jay Swift, then 28. The couple had been married for six years, although they had filed for divorce at one point. On the day of the murders, Swift had quit a job he had recently gotten at a concrete company. With a history of drug and alcohol abuse, Swift did not want to take a required drug test and his decision led to an argument with Amy. Amy was eight months pregnant at the time of her death. Amy was found dead in her home at Irving RV Park on April 30, 2003. According to authorities, after killing Amy, Swift drove to Amy's mother's home and killed her. Sandra's body was found the same day at Kingswood Mobile Home Park in Lake Dallas. Amy, an aide at a state school for the mentally disabled, had been strangled and stabbed in her Dallas County home. Amy's unborn child also died. Amy's mother was strangled. Swift had previously pled guilty to misdemeanor assault charges for shoving and choking his previous wife as well as driving while intoxicated and fleeing a police officer in 1996. Four days after their wedding, Swift had begun a 4-year sentence following a guilty plea for assaulting a Texas state trooper in 1996 and assaulting a woman in Denton County in 1997. Evidence showed that Amy's 5-year-old son Zachery witnessed both deaths. After the two women were killed, Swift checked into a motel in Farmers Branch where he abandoned Zachery after he fell asleep. Swift checked into another motel and got some beer. Zachery was found the next day, wandering in the lobby of the motel. Hotel employees fed him breakfast and let him watch cartoons in the lobby, then called police after no one claimed him and he was getting frightened. Once police arrived, Zachery told them that his father had killed his mother and his grandmother. Officers found their bodies and Swift was arrested within a few hours. Do Not Execute Christopher Swift! In April 2003, Christopher Swift killed his wife and later that day killed his mother-in-law. Swift represented himself at his trial. Texas should not execute Christopher Swift. Executing Swift would violate the right to life, as proclaimed in the Universal Declaration of Human Rights and would constitute the ultimate cruel, inhuman, and degrading punishment. Ineffective assistance of counsel and mental illness are at issue in this case. Swift has stated that he believed his 5-year old son wanted him to commit the murders, and that his mother-in-law would have been happy about her daughter’s death. Swift’s mental illness and lack of counsel should be carefully examined in this case. Please write to Gov. Rick Perry on behalf of Christopher Swift! HOLCOMB, J., delivered the opinion of the Court. In April 2005, a jury convicted appellant of capital murder. Tex. Penal Code Ann. § 19.03(a). Based on the jury's answers to the special issues set forth in Texas Code of Criminal Procedure Article 37.071, sections 2(b) and 2(e), the trial judge sentenced appellant to death. Art. 37.071, § 2(g). FN1 Direct appeal to this Court is automatic. Art. 37.071, § 2(h). We affirm. Appellant was represented by counsel at trial. The court originally appointed an attorney to represent him on direct appeal. However, appellant insisted that he did not want counsel. In a hearing on the matter, the trial court determined that appellant had been evaluated by an expert who concluded that he was competent to make the decision to represent himself. The court thereafter fully admonished appellant of the dangers and disadvantages of self-representation, found that appellant made his decision voluntarily and intelligently, and dismissed appellate counsel. See Martinez v. State, 163 S.W.3d 88, 90 n. 1 (Tex.App.Amarillo 2004)(citing Webb v. State, 533 S.W.2d 780 (Tex.Crim.App.1976)). Appellant did not file a brief on his behalf in this appeal.FN2 We therefore submitted the case without the benefit of briefs and, in the interest of justice, reviewed the entire record. Having found no unassigned fundamental error, we affirm the judgment and sentence of the trial court. FN2. Before he was released from his duties to appellant, appointed counsel prepared and sent a brief to this Court on appellant's behalf. Counsel's brief was received by the Court, but is not considered filed in the case.